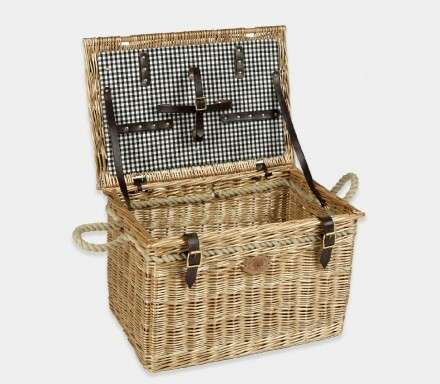 Luxuriously handcrafted Ashdown Hamper Basket displayed here in the aged weatherbeaten gold willow finish with a splendid black and white gingham backboard and dark brown leather strap and buckles and subtle hemp rope handles. 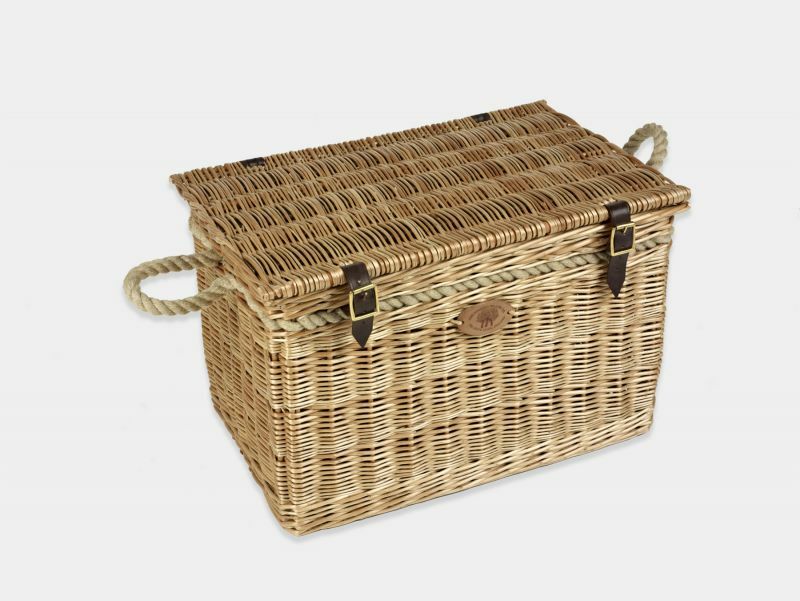 The Inside is fitted with an elegantly crafted removable glass and mug basket and is made exclusively by hand in our workshops in Somerset, using locally grown Somerset willow. This basket is also available in the timeless buff willow finish with a fine tweed backboard, light tan leather strap and buckles. 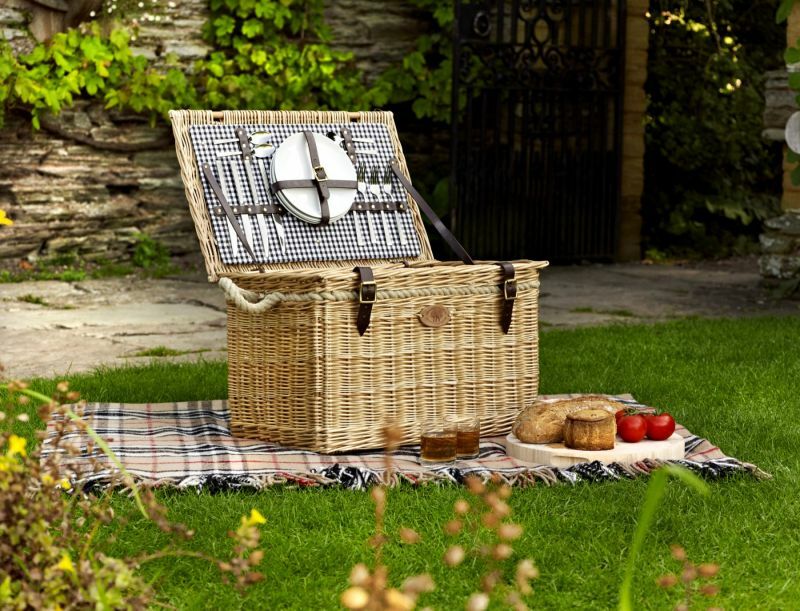 Ideal for that harmonious outdoor picnic pursuit, this basket is suited for up to four persons and will fit four mugs and four glasses.